FENFURO PRO™ is an innovative product extracted and developed through a novel patented process, involving separation active ingredients from the seeds of Fenugreek (Trigonella foenum-graecum) without affecting chemical properties of the active fractions. No chemicals are used. It is a natural and promising dietary supplement effective in the management of healthy blood glucose levels. It comprises of furostanolic-saponins rich fraction as the major fraction isolated from fenugreek seeds. FENFURO PRO™ is a first of its kind, natural and innovative product supported by six international patents for maintaining healthy glucose & lipid levels. 48.8% of the patients reported reduced dosage of anti-diabetic therapy in FENFURO PRO™ treated group, whereas 18.05% of the patients reported reduced dosage of anti-diabetic therapy in Placebo treated group. 89% of the patients reported decrease in PP sugar levels in FENFURO PRO™ treated group as compared to 72% of the patients in the Placebo treated group. 83% of the patients reported decrease in fasting sugar levels in FENFURO PRO™ treated group as compared to 62% in Placebo treated group. FENFURO PRO™ caused significant reduction in the post prandial (PP) blood sugar levels. FENFURO PRO™ caused significant reduction in the fasting blood sugar levels. A significant decrease in HbA1C levels was observed. No significant change in serum SGOT, SGPT & ALP activities was observed, indicating FENFURO PRO™ was safe for liver functioning. No significant change in blood urea nitrogen and creatinine levels was observed, indicating FENFURO PRO™ was safe for kidney functioning. No significant change in hematological parameters was observed. Keeping hematological and biochemical results in view, FENFURO PRO™ was safe for consumption. FENFURO PRO™ is the first dual action insulin sensitizer and exhibits hypocholestremic activity. In presence of high finer Furostanolic saponin cells are more sensitive to insulin. An increase in number of insulin receptor sites occurs which are responsive to insulin to stimulate the cells ability to burn glucose (i.e. newer insulin receptors with definite insulin sensitizing activity due to specific effects on the islets of langerhans in the Pancreas). High fiber Furostanolic saponins delay the rate of gastric emptying and slow carbohydrate absorption & thereby reduce insulin requirements. THEREBY BRINGS EUGLYCEMIC EFFECTS. Furostanolic saponins also increase peripheral utilization of insulin & THEREBY BRING DOWN THE HYPERINSULINEMIA the root cause of DIABETIC COMPLICATIONS. High fiber Furostanolic saponin increases viscosity of the digesta thereby inhibiting cholesterol absorption from small intestine and also the inhibition of bile acid re-absorption from the terminal ileum. Thus there is decrease in VLDL, LDL & Triglycerides level where as no effects on HDL. A. PATIENTS ON OHA AND INSULIN – add A FENFURO PRO™ to existing medicinal regimen. Recommended dosage of FENFURO PRO™ for better and faster results is three times a day (before meal). Patient should monitor FBS & PPBS level from 7-9th day onwards. If hypoglycemic symptoms are noticed insulin intake can be tapered depending upon level of FBS & PPBS in consultation with your physician. B. FENFURO PRO™ three capsules to be continued till the time insulin is no longer required. After this, two capsules of FENFURO PRO™ (before meal) have to be taken with other OHA till HbA1c <7%. Once HbA1c <7% is achieved, dosage of OHA has to be adjusted in consultation with your physician. C. PATIENTS TAKING MULTI MOLECULE OHA – Add FENFURO PRO™ to existing medicinal regimen. Recommended dosage of FENFURO PRO™ for better and faster results is twice a day (before meal) till HbA1c <7%. Once HbA1c <7% is achieved, dosage of OHA to be adjusted in consultation with your physician. A. 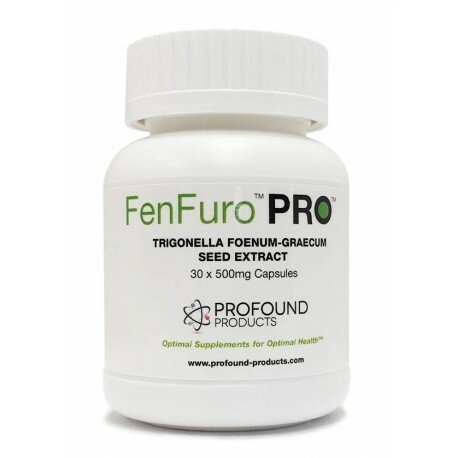 If C-peptide is very low, FENFURO PRO™ can be added to existing medicinal regimen for three months regularly. Recommended dosage of FENFURO PRO™ is three times a day (before meal). Patient should monitor FBS & PPBS level from 7-9th day onwards. If hypoglycemic symptoms are noticed, insulin intake can be tapered depending upon level of FBS & PPBS in consultation with your physician. After three months, if any improvement is noticed in C-peptide level, patient can continue taking FENFURO PRO™, otherwise FENFURO PRO™ can be withdrawn. B. If C-peptide is normal, probably it is MODY (Maturity onset diabetes of the young) case & FENFURO PRO™ can help to regenerate newer insulin receptor sites & thereby, insulin dosage can be reduced and diabetic complication can be controlled by reducing hyperinsulinemia. Recommended dosage of FENFURO PRO™ is three times a day (before meal). Patient should monitor FBS & PPBS level from 7-9th day onwards. If hypoglycemic symptoms are noticed insulin intake can be tapered depending upon level of FBS & PPBS in consultation with your physician.